Posted on Tuesday, January 22nd, 2019 at 6:32 pm. Columbus Restaurant Week is in full swing, but it’s not too late to get in on these tasty deals! The event features deep discounts on three course prix fixe menus at over 120 local restaurants through January 26. What’s even better? For every Restaurant Week photo posted on Instagram tagged #EAT614, $1 will be donated to NC4K (whose mission is to help pediatric cancer families). We hope you’ll join us at these four Grove City eateries to dine for a wonderful cause! Grove City participants can be found on the eat614 website here. No visit to Grove City is complete without trying the always creative, always delicious dishes prepared by Chef John “Guido” Magnacca at Cimi’s Bistro. Highlights from Chef’s menu for this special occasion include Buffalo Chicken Dip with chips and celery, Braised Short Ribs and Berry Tart for dessert. See the full menu here. Pro tip: Don’t leave your gluten free friends at home, Chef is a pro at accommodating those of us who are “against the grain”. Enjoying catching up with my sweet Nancy Jo? Your palate is deprived if you don’t squeeze in a stop at Grove City Brewing Company where you can find delectables such as Lobster Bisque, Plum Run Burger and Bourbon Bread Pudding. Lest we forget to leave room for a tasting of their beers, wines, ciders, mead or cocktails! The tastes and scenery are the perfect setting for these snowy January evenings, check out their full Restaurant Week menu here. Tried and true (and not just on Taco Tuesday), El Vaquero offers the perfect opportunity to add a margarita to your meal! Samples from their prix fixe menu include everyone’s favorite Queso Dip, Burrioto Zacatecas and Sopapillas! Find the full menu here. Last, but certainly not least (check out the portions on this menu), enjoy summer done right with some BBQ from Ohio’s own City BBQ. Enjoy Sweet Vinegar Slaw with a Pulled Pork Sandwich, dive into 3 Ribs served with Texas Toast and top it all off with the Triple Chocolate Cake. See the full menu for yourself here. 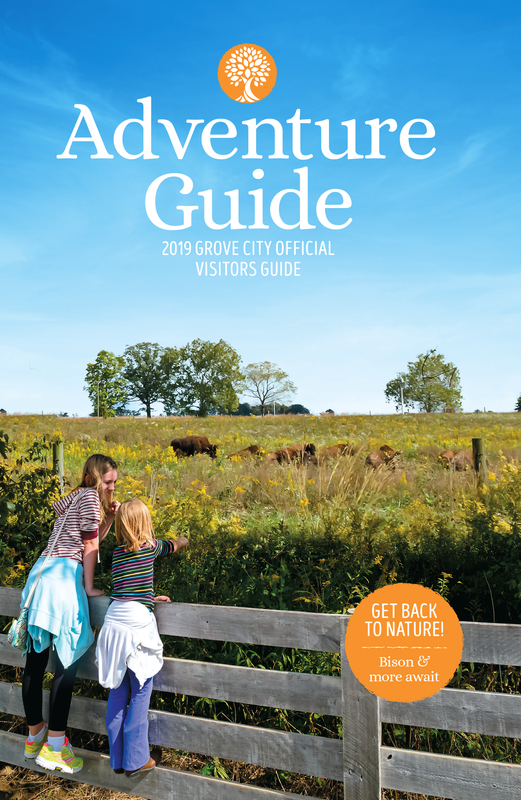 Whether you dine in Grove City during restaurant week, or visit later in the year, be sure to tag @visitgrovecity and use #altogetheradventure to share your story!